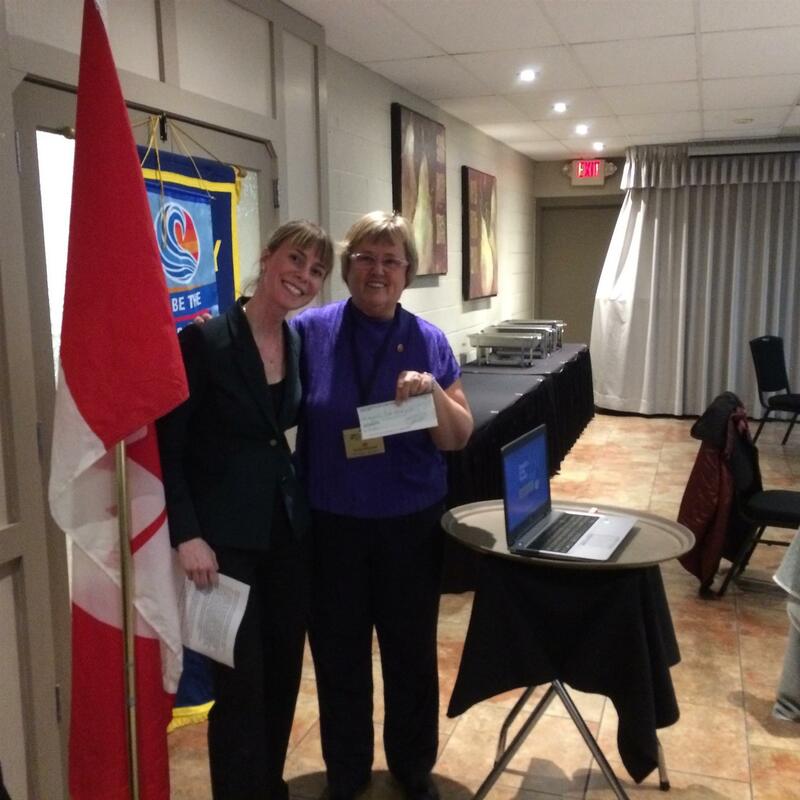 President Jorina McDowell presents Kirsten Dodds of Community Hubs with RCCO's donation on March 28. For more information on the Community Hubs initiative and Rotary's involvement, click here. The Rotary Club of Calgary Olympic is pleased to support Disability Pride. On Thursday, February 7, President Jorina McDowell presented Andrea van Vugt of Disability Pride with a cheque for $1000 to support their parade in June. RCCO members will also volunteer at this parade. On November 22, 2018, Sutton Garner and Bobbi Turko of I Can 4 Kids visited the Rotary Club of Calgary Olympic to thank the club for its donation of $10,000 to their 2018 summer food campaign. This donation came from a District Grant and helped ensure that thousands of Calgary children received healthy and nutritious meals this past summer. For more information on I Can 4 Kids, visit their web site here.